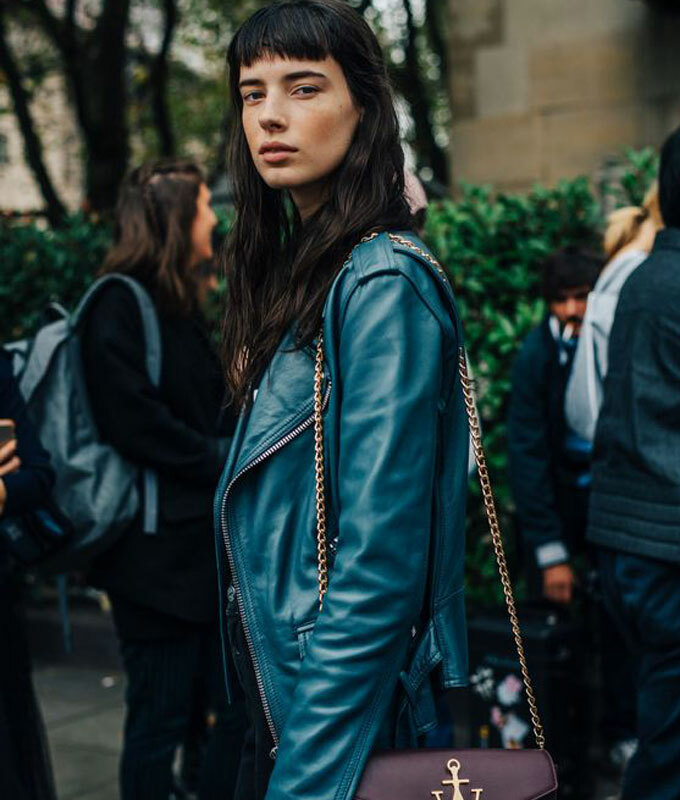 Your guide to wearing turquoise blue. 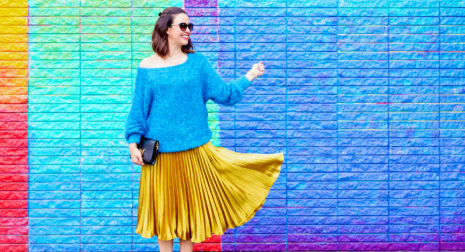 We are happy to introduce a new guide in our series of how to wear color. In the past, we’ve shared guides on how to wear blush pink, mint green, golden yellow, burnt orange, cobalt blue, and many more. 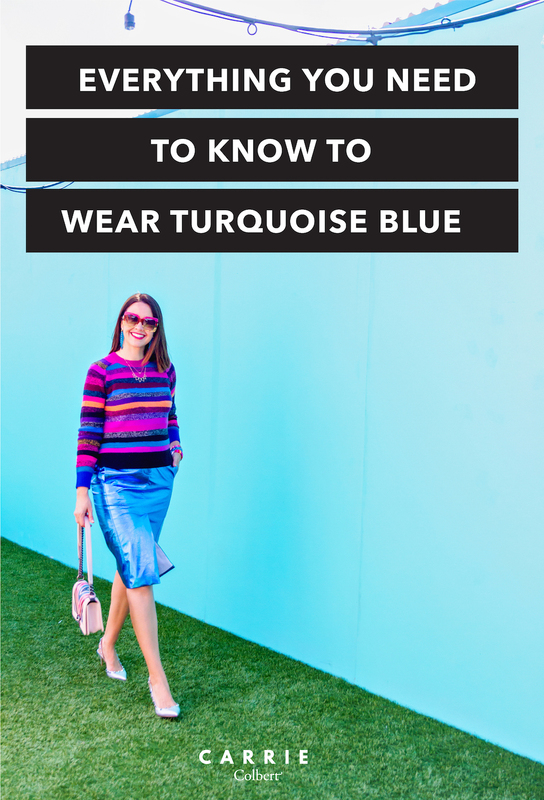 Now, let’s talk all about how to wear turquoise blue! What Color is Peacock Exactly? As you know, each month, we select a color of the month. And this month’s color in focus is peacock! So, you might be asking yourself, “Then, why are we talking about turquoise today? Shouldn’t we be talking about peacock?” Well, you make a good point, astute reader! I tried to argue with him. But he wasn’t having it. He is an engineer after all, so he of course sees things very literal and black and white. Plus, I didn’t have a very strong leg to stand on. In my defense, even Neiman Marcus says that peacock hues are trending! But to his point, I guess the key word there is “hues” — plural. Indeed, peacocks consist of a marvelous range of hues from beautiful blues to gorgeous greens and possibly powerful purples. Even our mood board for October demonstrates that range of richness. What does the color turquoise mean? Well, as it turns out, the color turquoise embodies many of the ideals of feminine empowerment on which we are focusing on this month! The color turquoise is energizing, feminine, and strong. It carries with it a sense of wisdom, creativity, and emotional balance. Sounds pretty good, right? 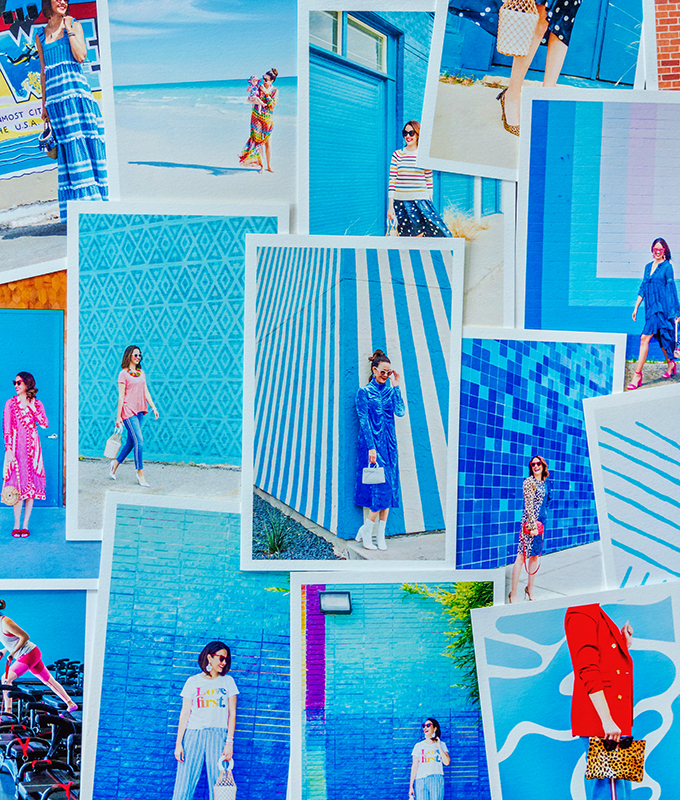 Are you ready to wear some turquoise? Great! What Colors Go with Turquoise? Now, what colors go with turquoise? 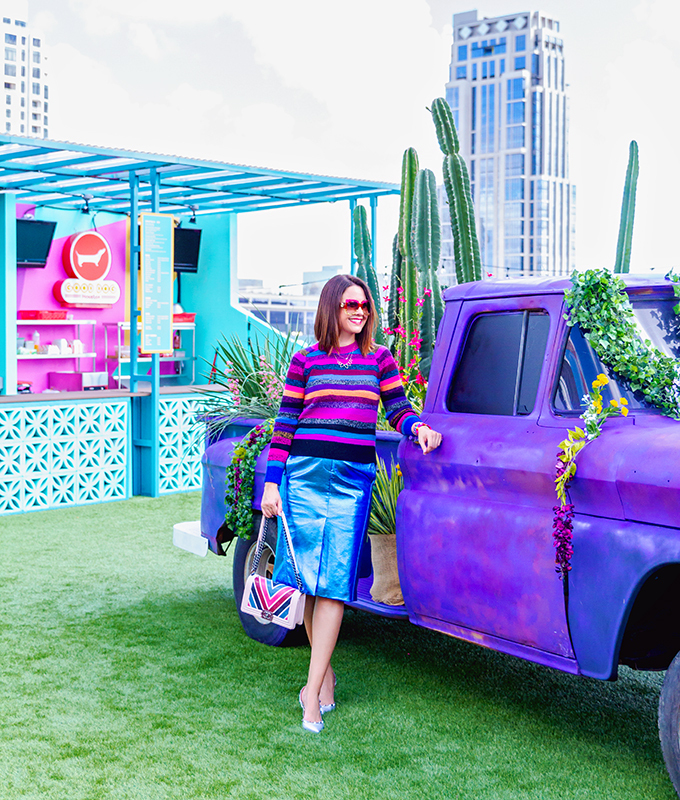 Whether you’re looking for what to wear with a turquoise dress, or how to style a turquoise sweater, or anything else related to wearing turquoise, here are a few of my favorite tips for wearing turquoise. Think of this one as the tones of peacock feathers. 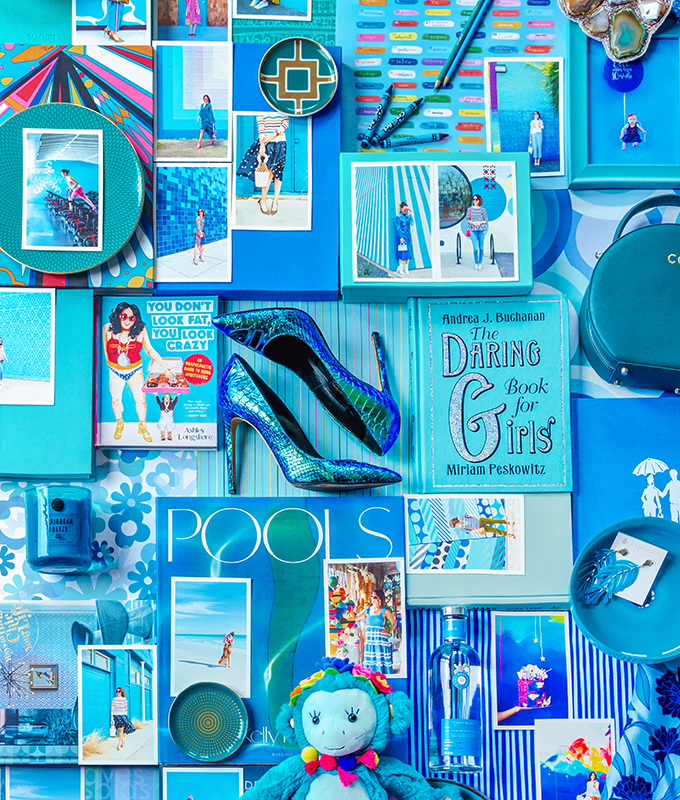 The jewel tone nature of turquoise makes it pair well with other jewel tones – or peacock hues, if you will. 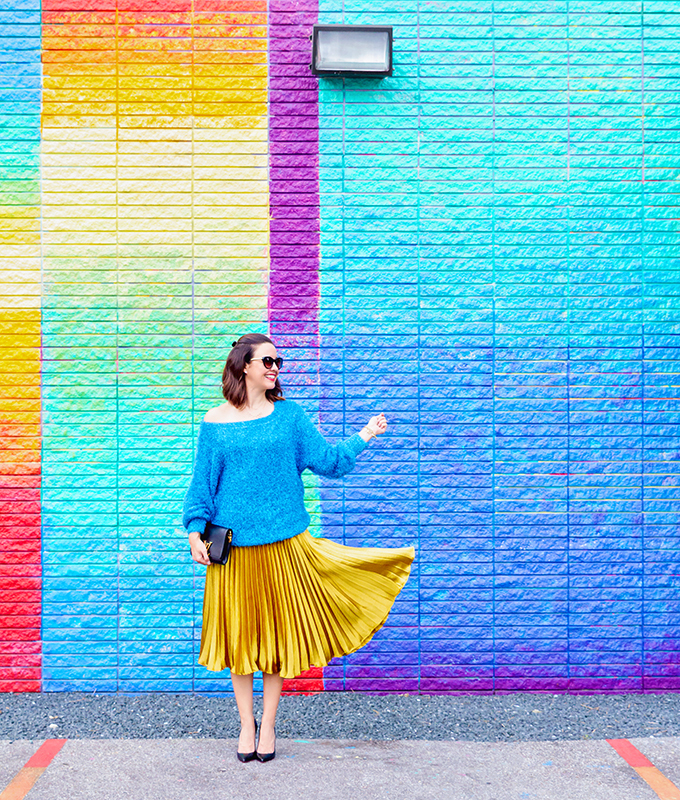 I had a lot of fun putting together this jewel-toned look centered on this turquoise leather skirt. As I tried to demonstrate with this look, turquoise pairs dramatically with gold! It’s a simple way to make a statement. And the gold updates the turquoise. Conversely, if you’re going for a modern look, I’d probably steer clear of turquoise and silver pairings. This is probably the boldest way to wear turquoise! Orange is the complementary color to blue on the color wheel, meaning they are directly across from one another on the color wheel. So the two automatically pair well together. Given how saturated turquoise is, it demands an equally bold orange! The best example I’ve seen this season is this look from Tibi. Find some of our favorite pieces below that would go perfectly with turquoise along with inspiration on how to style your look! If you are just dipping your toe in the color pool, the easiest way to wear turquoise blue is to wear turquoise jewelry. However, this look can easily go wrong. Turquoise jewelry can look very dated. We see it a lot in the southwestern part of the United States. So, assuming you’re not going for the western look, let’s consider tips to wear turquoise jewelry without looking dated. 1. Avoid turquoise jewelry with accents of black and silver. There’s nothing wrong with this combination. But it does lend itself more to a country and western vibe. We are seeing a lot of acrylic and lucite and such in the jewelry marketplace right now. Earrings like these carry with them a nice modern look. Opt for dainty, ladylike pieces rather than chunky, bulky designs. 1. So, are you loving turquoise and peacock as much as we are? We can’t get enough! Which pieces are you eyeing from above? 2. We hope you’re enjoying all our content this month, thus far! 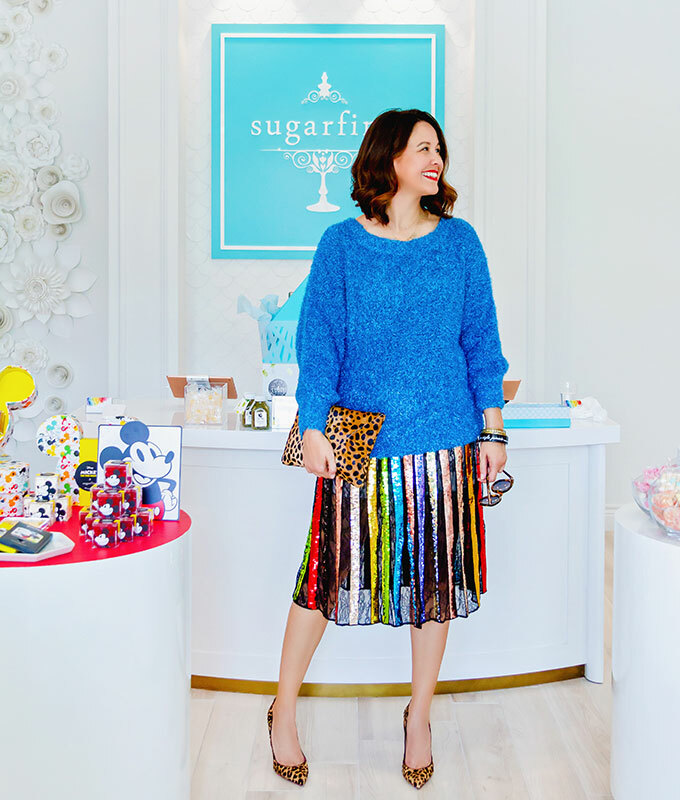 Be sure to check out some of our favorite recent articles: An Exclusive Interview with Entrepreneur Jaclyn Johnson, What It Means to Live An Empowered Life As a Woman, and Two Designers You Need To Know This Fall. 3. Have a great rest of your week! Unique florals and beautiful colors. There is nothing wrong with matching the color of your wine! Browse our 24 favorite merlot items that are perfect for the fall season. Check out this under $100 J.Crew houndstooth dress that has become a holiday favorite this season!